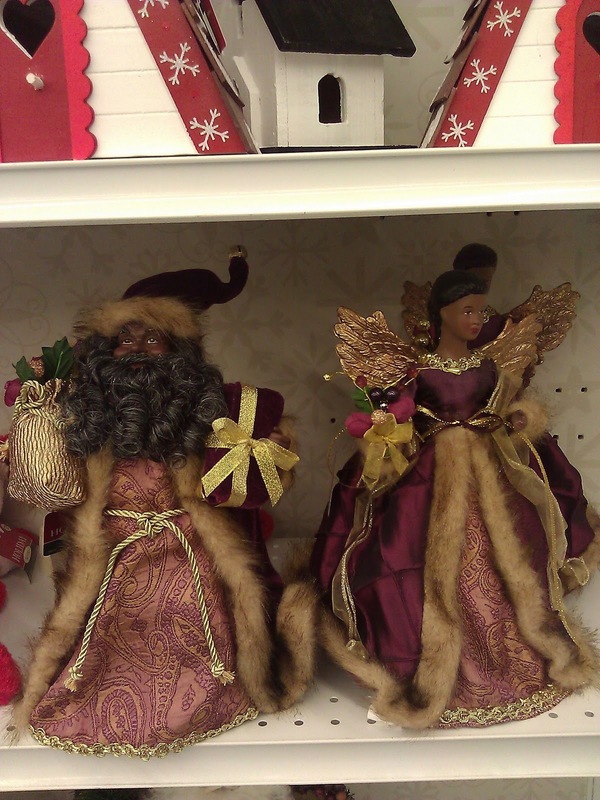 This is the story of Black Santa and his wife, Black Santa’s Wife. 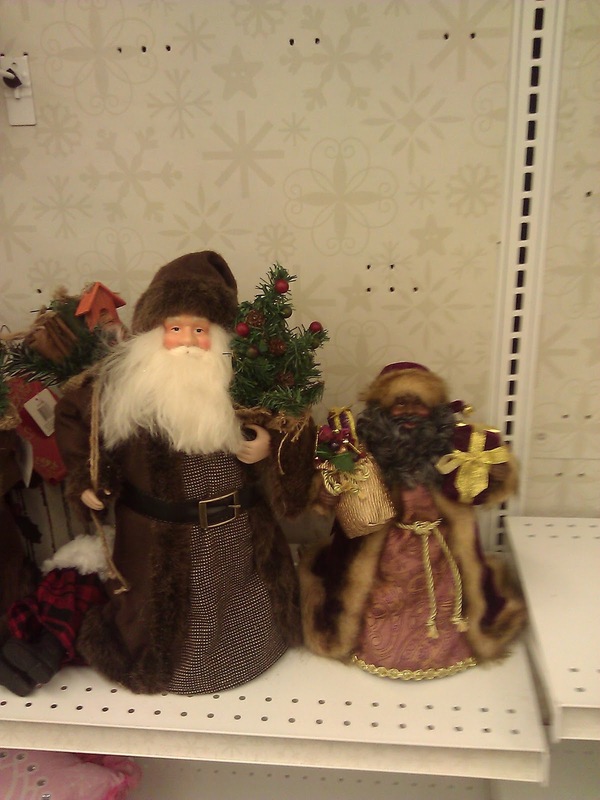 They also go by Black Father Christmas and Black Father Christmas’ Wife (I assume the missus has a proper name or title of her own, but I can’t find it). Don’t they look like a happy couple? Well, perhaps not, but that may have more to do with my brother’s photography skills and subject placement than anything else. Still, with that bushy beard and the beautiful purples and pinks and those adorable gold wings, you’d think they’d be a happy couple (unless, of course, that additional statue in the background is there to imply that Black Santa is, in fact, an unfaithful jerk; but that would be too easy a stereotype, now wouldn’t it?). Now let’s bring White Santa into the picture, shall we? If I were a betting man, I’d gather most people would see a problem with the size differential.